In this second blog looking at digital opportunities and challenges for looked-after children and young people, Alicia Blum-Ross discusses how digitisation may exacerbate existing vulnerabilities, increase the risk of private information becoming more accessible, and challenge the responsibility to make sure children and young people feel protected, secure and that they belong. Alicia is a researcher at the LSE’s Department of Media and Communications. She is interested in youth media production and is part of the Parenting for a Digital Future research project. Last week, I wrote about some of the benefits that digital media might have for ‘looked-after’ children. From recording memories to enabling relationships with family, friends and new support communities, the speakers at the recent ParentZone conference outlined a number of potentially transformative ways that digital media can support young people in care or who have been adopted. However, these children and young people often also have particular support and privacy needs when it comes to digital media. As life for all families is increasingly centred on digital devices – from cameraphones and social media to Facetime and video games – it is worth underlining the specific challenges that digital media pose for looked-after children and young people, as well as for their parents and carers. Digital technology offers much to young people, but can also exacerbate existing vulnerabilities. A 2012 report for the UK Council for Child Internet Safety outlined factors that lead young people to be vulnerable to risk online, including lack of education and of parental support, and psychological difficulties. These are often true of looked-after children who may have had their education disrupted, experienced difficult relationships with their birth families, not yet built trusting relationships with their carers or adoptive parents, or experienced trauma. Many looked-after children and young people understandably have a hard time trusting adults and feeling safe enough to let someone know if they have come across disturbing content, or had inappropriate contact. They do not have parents to help teach them how to stay safe, online or offline. They may have difficulty establishing appropriate boundaries with friends and strangers online (including their own birth families), and push back against foster and adoptive carers and parents who try to put in place more rules than they’re used to. Foster and adoptive parents and carers need to address issues of trust as much as they do appropriate uses of technology. They also need to be prepared to ask questions and not be scared off by their own technological limitations. In one interview I conducted, a story of cyberbullying came up where a girl in foster care had been acting as a bully. When confronted, her foster mother had confessed to not really understanding ‘what she does on her phone’ and being afraid to ask. Care and adoption proceedings are rightly heavily protected by privacy regulations. Meena Wells, a solicitor and child protection specialist, explained how in the pre-digital age all printed files in adoption cases were kept under strict lock and key, with only one or two members of staff having access. With digitisation there are greater risks that information held about children or birth families may become accessible (although conversely, this could present some opportunities as well). The process of contact via ‘letterbox’ exchanges, where a social worker facilitates contact but ensures that the details of both child and birth relative are confidential, may be a thing of the past. Social workers at the conference reported stories of both young people and birth families finding each other – often happily, but in many cases unhappily, via social media or photo shared online. Finding information is especially easy given geo-location in social networks like Facebook or Instagram, and in the meta-data of digital images. There were stories, for example, of young people reverse-image searching on Google using printed photos given to them in lifestory books at the time of their adoption to find old homes and neighbourhoods. Again, this has the potential to bring young people and birth families together, but this is not always wanted, or is done without considering the consequences. Social workers argue that the dispersed nature of digital media means a trained professional is not there to help support all those involved. Ultimately, the primary responsibility for foster and adoptive parents (like all parents, in fact) is to make sure their children and young people feel protected, secure, and that they belong. 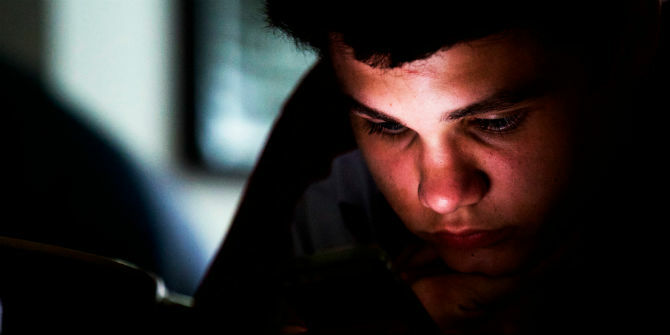 Digital technologies, however, may challenge this in several ways: for example, virtual contact could undermine children and young people’s ability to feel ‘at home’ in a new placement, where birth families actively told young people not to follow foster carers rules, or gave false information to children about when they would be reunited, or where children continued to be emotionally abused without the knowledge of the foster or adoptive parents. Conversely, overly restricting the use of digital media could also undermine children and young people’s sense of belonging. One foster carer at the conference gave an example of a family day out to the seaside, where she had to ask her foster child to step out of a family photo she was sharing with relatives on Facebook because she’d been warned not to share any digital images. These examples underscore the sea-change currently happening within fostering and adoption. Digital media challenge what had been long-accepted boundaries. Although these types of ‘connections’ are often positive – our research is part of the Connected Learning Research Network after all – the permeability of life in the digital age means that it’s also hard to remove young people from dangerous situations. Foster carers and adoptive parents need to support children in making connections where they are helpful, and confronting them where they are not. This takes confidence, and it may be that, as Anthony Douglas from Cafcass has pointed out, the foster and adoptive parents of the future – themselves ‘children of the digital age’ – may have an easier time of this.